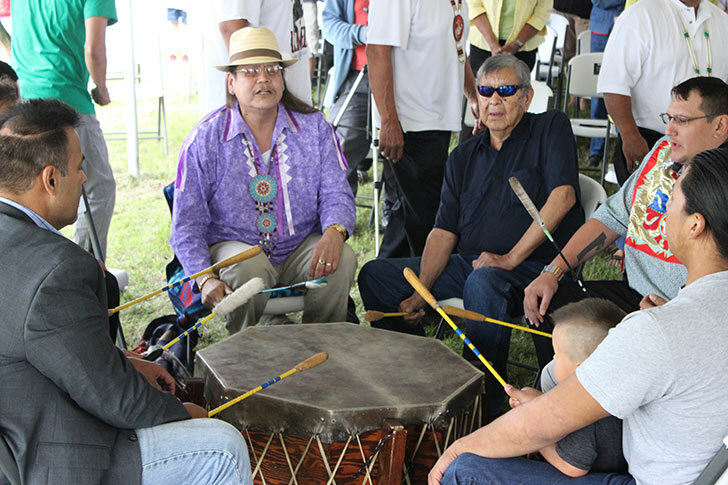 On June 26, 2015, the Ho Chunk Nation invited members of the public to their newly acquired lands at Badger, help celebrate the acquisition of over 1,500 acres of land there. Theirs was the final major transfer of land from the Army (December 2014). Dignitaries, including Jon Greendeer, U.S. Senator Tammy Baldwin, former President of the Ho Chunk Nation and DNR Secretary Cathy Stepp addressed the several hundred participants at the June event. Traditional dancer Robert Mann and the Wisconsin Dells Drummers entertained the crowd.